Last year charities in the U.S. received over $300 billion in donations. A large portion of those donations occurred online. After seeing over 100,000 people read our Blogger's Guide to SEO and getting it translated in 20+ languages, we've decided to write a similar guide for non-profits. We'll also cover a number of related marketing approaches that will help you work the channels cheaply and effectively. Both online and off, perceptions are framed and manipulated by those with the capital and intent to do so. As much as we may like to think those who help us access information are giving us the full picture, they often have business objectives counter to our own interests. In the current environment, the distribution of information often relies on marketing. Those with the biggest marketing budgets can get their message across, whilst those who don't have marketing budgets risk going unheard. Each day, millions of people search for information. If your site is well optimized, people will find you in search engine results listings. However, one downside of the search process is that it is reactive. The searcher must already be aware of an issue in order to phrase a search concerning that issue. So how do you make your site more visible? SEO stands for "search engine optimization". By tweaking areas of your site, and building links, you are more likely to get higher rankings for keyword terms. This can lead to to more visitors. The most important area to work on, in terms of achieving higher rank, is external link building. Did you know that it is possible to achieve good rankings for sites that have no content? This can, and does, happen because Google places a great deal of importance on the quality of the external links pointing to your site. Non-profits have an advantage in this area, as many webmasters attribute commercial value to links, so it is becoming increasingly difficult for commercial sites to obtain links for free. However, non-profits and charities aren't usually seen as competitive threats. When seeking links, be sure to remind people of your non-profit status. By doing so, webmasters are less likely to think of links in commercial or competitive terms, and more likely to see linking as a gift, donation or simply an opportunity to help a good cause. You should also pay particular attention to keyword research. If you choose the wrong keywords i.e. keywords that no one searches for, then any ranking you achieve won't translate into visitor traffic. You should not only be looking for what is historically popular, but also what is fresh, especially in areas that relate to the work done by your non-profit. You can gain insights into what is going on right now by performing searches on Technorati, Google Insights For Search, Google Blog Search, and Google News. Services like Google Trends and Yahoo! Buzz Index show you what searches were popular in the last day. If your non-profit or charity has a geographic focus, use keywords that include the name of the country and/or region. Use tools such as Google's Insights For Search to get an idea of where search traffic comes from and to help you with your targeting. Use your keywords in your page title, preferably near the start of your page title. You may want to use your keywords, related phrases, and popular keyword modifiers in your page content a couple times, but make sure the copy sounds natural, not forced. Your content should read well to humans. If people like your content and link to it, that is more valuable than getting on page optimization "perfect". Regular keyword research tools show you popular modifiers, and some graphical tools like Quintura make it easy to visualize related words in top ranking documents. How do You Make Your Issue Visible? Turn your traditional approach upside down. In this speech by Seth Godin, Seth talks about how, and why, the old ways of fund raising are no longer working. His speech is chock full of great advice, and specific examples and suggestions for non-profits. Here are a few take-away points. The model for non-profits for the past hundred years has been pretty simple. Target wealthy people or organizations, interrupt them with impersonal, irrelevant messages, over and over again, until they give you money. That model worked well for a long time, and there's nothing wrong with it, but is not working as well as it used to. The sheer number of people trying to get heard. However, the web has created new opportunities. Seth describes a funnel model. Traditionally, you put "attention" in the top of the funnel, and hopefully, eventually, you get a donor out the bottom. But the funnel leaks. You lose a lot of attention and donors along the way. The new way is to turn that funnel on it's side in order to create a megaphone. Hand that megaphone to your biggest supporters. The internet makes everyone a media company. It allows the word to spread from person to person. For example, Kiva receives a lot of traffic and take-up, and what is even more remarkable is they did so with very little organizational support. What Kiva did was to empower users to talk about Kiva. The users spread the idea. Organize people around an idea, and then make it easy for them to talk about it. rather than feeling like giving a hand out it feels like you are lending someone a helping hand. Part of what you need to do, if you want people to spread you story, is to give them something new or edgy to talk about, or put a new spin on something. The people who are most likely to spread your story via the internet are the people at the edges, not the conservative people who occupy the middle. The edgy, early adopters like to use the latest tools and methods. They move first, they move fast, and they influence others. If you give people the tools, and the leadership, and great stories to tell, they will go out and spread your message for you. 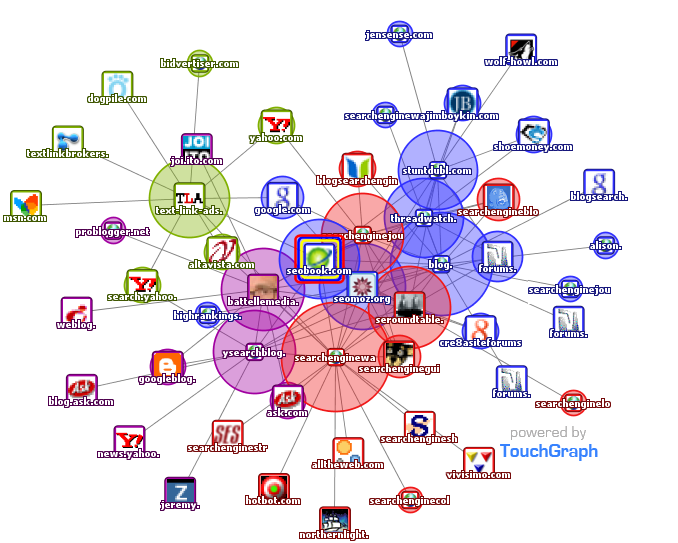 In mid-2010 a webmaster named Shak tapped his friends and raised $200,000 for charity water by creating a campaign using free tools on their website. Kiva offers similar social tools where teams can set group goals and compete. Poverty.com displays a counter. This counter shows the number of hunger deaths each hour. Alongside, the counter shows pictures of children who recently died of hunger. Seeing the counter update and the list scroll as the new pictures pop up is both heart wrenching, and a very effective way of getting the message across. Poverty.com also made it easy to help out. They run an ad sponsored game that you can play to feed hungry people free rice. The game has generated over 25 billion grains of rice in its first 6 months. 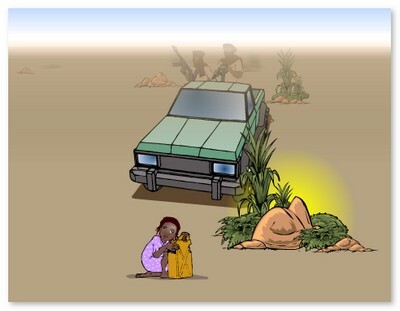 Darfurisdying is a bleak video game that shows the threats people face in Darfur. By placing the viewer in the context of the game, the threats become much more concrete and personal. It's an involving way of getting a message across, and has a viral component. Players are urged to send the game to their friends. "Having a great story to tell" is a contemporary marketing approach. Marketers try and turn dry company histories and services into stories, because stories are compelling and memorable. Thankfully, many non-profits and charity organizations have great stories to tell! Often, their reason for being is to help solve a tragedy. In essence, all stories are tragedies. They move from a point of stasis, to a crisis, to resolution. Think about how you can frame your non-profit as a story. Poverty.com tells a memorable story. Over 1 billion people around the globe have little or no access to safe drinking water. So UNICEF turned tap water into a brand with their Tap Project. The project allows you to donate money on your restaurant bill to provide others drinking water that we take for granted every day. "Brands are the solution, not the problem... Brands are how you sort out the cesspool....Branding, on the other hand, may be an essential element that helps people navigate the world, he continued. "Brand affinity is clearly hard wired," he said. "It is so fundamental to human existence that it's not going away. It must have a genetic component." Brands play two important roles when it comes to search. 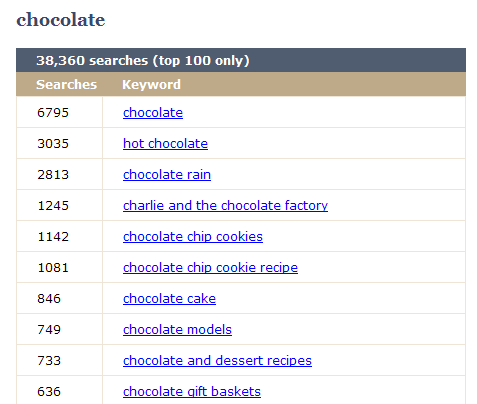 Firstly, people are likely to search on a brand name, and if you own that brand, it is easy to rank in first position. Secondly, Google have hinted that they'll place greater emphasis on brands in order to help order their search results. Think about ways you can turn your charity projects into brands, like the Tap Project. It helps if the brand is descriptive, as opposed to abstract, as people tend to search for generic terms. For example, "CureBlindnessNow" could be both a brand and a search term i.e. "cure for blindess", "how to cure blindness", etc. In the Darfur game, players are encouraged to pass the game on to their friends. Think about ways you make your message viral, meaning people pass your message on. Think about ways in which you can involve as many people as possible. For example, sell media, or other goodies, in pairs to make it easy for people to share it with friends. Create a blog and/or newsletter, and invite subscribers to become authors. This will increase their sense of ownership, and reduce your workload. Use syndication networks, like YouTube, to host your videos. Create groups on social network sites to help get people together. People involved in causes are highly likely to share and have a keen sense of community. Make it easy for them to join and contribute. One of the most important metric search engines use to rank sites is inbound linking. Search engines don't just count the number of links, they also count the quality. Links from high profile, non -commercial sites, such as .edu , carry a lot of weight, as official education related domains are deemed a high quality citation. It is often difficult for a commercial site to earn such a link, however a non-profit is more likely to receive one. Make a list of top ranking sites in your niche, particularly those not in direct competition, and send them an email telling them about your cause. Giving a link doesn't cost the link giver anything, but benefits you greatly. Most people would only be too happy to help out in this way, especially if your cause is relevant to their readership. Keep in mind that aggressive marketers also use these link building tactics, but the way to stand out from the crowd is to tell stories about you organization. Make the email personal, and craft it for the intended recipient, rather than using a generic template. The value of ten or twenty high quality links will trump thousands of low quality links, so it is worth the time and effort to personalize your correspondence when requesting these types of links. Twitter is a service where you can publish short messages, less than 140 characters long, and let people know what you're up to in real-time. You can use Twitter to make people aware of your latest content, and the latest news and issues concerning your non-profit. You can provide live coverage of your events. You can get feedback from your community on your work. You can see what issues your community is discussing, which can give you ideas on how to frame your messages in future. Are there any common topics that come up regularly? What type of language do people use? A nonprofit organization may not be ready to Twitter their latest news and events, but they can still use Twitter to find individuals who have an interest in their own cause or mission. My favorite Twitter search tool is Terraminds Twitter Search because it's responsive and allows you to subscribe to search results with RSS. I use it to search for people who have mentioned the word: "nonprofit" and I'm constantly finding new interesting people to introduce myself to". In this post, Seth Godin laments the fact that The New York Times star is fading. One of the reasons for this is the NYT appears to be stuck in the past. "Lots of organizations go through this analysis. How do you leverage your brand or your customer base to get to the next level, to enter new markets or new technologies--and do it while running your old business. And almost without exception, organizations are run by people who want to protect the old business, not develop the new one." "Use their influence and brand to enable users to spread their content: Why, precisely, aren't the Zagats guides a NY Times product? Or Yelp? That's a quarter of a billion dollars worth of value that the paper with the most influential restaurant reviews page didn't create. Why didn't they build Wikipedia? Or a platform to influence the way politicians govern?" This example could be applied to non-profits, too. Instead of just publishing something for someone to read, think about ways you can directly involve people in your process. Create a wiki about your work, and let people contribute and add to it. Become the leading resource for information in your chosen area. The success of Wikipedia demonstrates that people are hungry, not only to share knowledge, but to have an information resource that isn't driven by advertising concerns. Google tends to reward this type of content, as it is a natural fit with their business model i.e. we suspect Google would like to see objective, informational resources in the main results, whilst commercial concerns tend towards Adwords. A recent trend in internet marketing is called linkbaiting. Try to create content that is worth remarking upon, either by being controversial, taking a new angle, or doing something that pushes the boundaries. Join sites like Digg and Reddit and submit your content. If people pick up on a story, and debate it, links will likely follow. Are there radical aspects to your charity? What truly remarkable things are you doing? Can you re-spin your agenda to closely match a rising media trend? For example, one hot area - excuse the pun - concerns environmental issues. A story about water shortages could easily be re-spun to give it a green angle, and increase the likelihood it would be picked up by a ravenous media. Issue press releases, using sites such as PRWeb. Optimize your press releases. Research your keywords, include them in the title tag, paragraph titles and the body copy of the release, link to the press release from your site, and use keywords in the link text. By doing so, you increase the likelihood your press release will be picked up by the media, as journalists often use the news search services for story ideas. Try to make the titles enticing. Remember, you may be competing with thousands of other press releases on the same topic. Whilst quick and easy, the downside of automated press release distribution is that it is anonymous and impersonal. Non-profits may get better mileage by building relationships with specific journalists. Send a press release to a journalist keeping in mind that they are often willing to link to non-profit websites in the eventuating online version of the article. It could be a mention of your website address at the end of the article or better still a mention mid way through the article using desirable anchor text. When your organization does get media coverage and your website is not mentioned in the online version of the article, simply follow up with the journalist and ask that it is linked to. Links from newspaper websites are potentially of enormous value to your website from a search engine optimization perspective. Whilst not being an official (501)c 3, a provision of the United States Internal Revenue Code which allows tax exemptions for non-profit organizations, Brave New Films allowed politically charged supporters to donate to a movie. In return, the donor got to display a message, right in the movie itself. Offering different pledge levels allows people to donate a little bit more, and in return they get a more prominent message placement. Such a pledge makes supporters feel a greater sense of ownership, and because they have a greater level of ownership, they are likely to become evangelists. This is free marketing of the most powerful kind: word-of mouth. Until 2009, Google Checkout is offering free payment processing and donation collections for non-profits. Even if your goal is a small one, sites like Fundable.com allow supporters to make pledges and only accept the money if you get enough support in a specific time period. People who believe in your cause will often jump at the chance to help you spread your message. Make it easy and fun for them to do so. Here is a widget from Amnesty International's Irrepressible.info. This widget aims to undermine unwarranted censorship by publishing censored material. Notice the strong branding which makes it easy for readers to click onto the main site. Embedding a widget is as simple as cutting and pasting code. Notice the text link in that embed code. That link helps pass link weight to the Zfacts site, which helps the site rank better in search engines like Google. 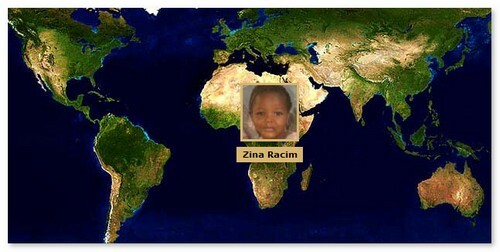 Kiva provides a widget that displays a randomly selected Kiva entrepreneur in need. Webmasters simply cut and post the code into their website, and the data updates automatically. There are a wealth of free services available to non-profits. Here are a few we've found that relate to web marketing. A Google Grant is a donation program awarding free AdWords advertising to select charitable organizations. The typical guarantee receives just over $300 worth of advertising on Google.com per month. Details on how to apply can be found here. Also check out their blog, Official Google Grants Blog. If you have a Google grant, some companies will help you implement your strategy free of charge. There are a number of free information resources available on the web. Check out "Getting To The Point, a blog that shares ideas on how to market just causes. Also check out Nonprofit911, a free training series on non-profit fundrasing. Getting visitors is one thing. Holding onto them is another. Dominic Mapstone, a guy who has done a lot of charity promotion, and whom Aaron interviewed recently on SEOBook, offers the following sage advice. Fundraising efforts aim to reach more people, and get larger donations, more often. If someone gives you $50 today, would they agree to spread it over two months and give $25 per month ongoing? If they agree, you turn a $50 one off donation into a $600 donation over two years. The interaction with an ongoing donor, or someone who may donate more than once, is similar interaction to the traditional sales process. Major supermarkets can tell you the lifetime value of a new customer. The customer could spend $25 on their first trip to the supermarket, but the lifetime value of the customer may be $25,000 in sales over a period of time. Metrics around donor acquisition work the same way. It's OK for a supermarket to spend $500 to attract a new customer who will only spend $25 on their first visit if the lifetime value of that customer is $25,000 in sales. Best practice with fund raising tends to be twenty cents on the dollar. So if $100,000 is raised, it shouldn't cost you more than $20,000 to raise those funds, leaving $80,000 to spend on your cause. Some aggressive charities spend more than 60% of donations on fund raising, a shameful practice by ineffective marketers. If someone has donated regularly in the past it and stops donating, it is important to know why they stopped. This information could help you curtail the loss of other donors for the same reason. If someone donated after reading your marketing material, perhaps they would be willing to allow you to pass on the same marketing material to their friends. If they do, label the marketing material with a personal note: Hey John, you friend Sally donated $50 to our project, and mentioned you may be able to donate too. Here is our marketing material – can you help us out with a $50 donation just like Sally did? Obvious follow up – by the way, do you want to recommend other friends to help us out? Just like Sally did! All marketing should bring donors into a closer relationship with your organization. For example, if you are sending them an email about your work and the opportunity to donate, don't just send it to your front line supporters, enlist their support and ask them to pass the email on as ambassadors. Use whatever channel your donors use. If you want links from your supporters, tell them how to link and why the link will help. More people will help you with a link if they know what you want and that their linking efforts will help you in Google. If your donors haven't seen a photo of the principal personality behind your organization, they may only be giving 50% of their potential. Having a person represent a brand will attract twice the donations as a brand alone. Usually client profiles are not available, so use the principle personality or senior staff member to put a human face on the organization. Establishing trust and developing a relationship with websites users is fast-tracked when they see a photo of the principal personality behind the organization, not some airbrushed, sanitized stock photo, but a real person to relate to. For a previous employer, I ran a second hand book sale fundraiser. The first time we ran the sale, it raised $15,000. The second time raised $5,000. It was not worth continuing the fundraiser for a third time as the volunteer hours invested in carrying out the fundraiser were in their thousands. The sale was worthwhile for a profit of $15,000 profit, but not $5,000. Metrics are the most important part of marketing and inform all forms of non-profit marketing and fund raising. If one volunteer hour raises X dollars in fund raising program A and one volunteer hour raises Y dollars in fundraising program B what fundraiser should we focus on? Seems pretty obvious, but unless you measure, you don't know. The answer isn't the project that raises the most money, it's the project that raises the most money per volunteer hour invested. Value and measure all your inputs even the so called free volunteer work. Volunteers aren't free. They cost money to acquire, train, manage, roster, insure and deploy. That process has its own metrics in terms of maximizing your volunteer programs. At any rate, they need to be accounted for as a measurable input during fund raising and deployed for maximum profit. Lowering operating costs or expenses is as important to all non-profits as increasing income. A non-profit can decrease running costs by moving some offline practices onto its website. The sector is perhaps a worst case example of the paperless office, with your average non-profit managing hundreds and in some cases thousands of volunteers. The paper used for shift rosters, in-house newsletters, training manuals, forms, internal reporting… so much of this can be moved online and still remain behind closed doors or sections of your website requiring a login. Non-profit websites can also enable service providers to engage and empower their client base online. The Homeless Forum engages homeless people from around the world in a forum community moderated by current and formerly homeless people. If you aren't actively targeting your website to interact with people your non-profit aims to support and empower, remember they may read your website anyway. Look beyond fund raising and consider how your clients could benefit from information on your website or by interacting with it. If you found this guide helpful please consider linking to it and/or sharing it with friends. If you have feedback on this guide please let us know here. Thanks for reading! Visit SEO Book, SEO Tools & PPC Blog to learn more.